The general lessons from the conflict of interest that claimed Alastair Furnival, chief of staff to Assistant Health Minister Senator Fiona Nash, are about the often-hidden world of political insiders. Furnival still held shares in the lobbying company, Australian Public Affairs (APA), which lobbies for the Australian Beverages Council (a pressure group) and corporate brands such as Kraft peanut butter and Cadbury chocolates. According to the ministerial code of conduct he should have divested himself of such shares when he took up the senior head of staff role, in which he acts directly for the minister. In another twist Furnival's wife, Tracey Cain, still heads APA, described by Nash as a 'family business'. The focus on insiders is more often on the many former ministers, MPs and ministerial staffers who are now working as commercial lobbyists (like APA) or as corporate lobbyists (for companies like Kraft) or as pressure group lobbyists (like the Australian Beverages Council). There have been several recent developments in this sub-field. The numbers of Coalition aligned lobbyists has grown greatly. Among their number are many former senior Howard Government ministers. The overlap between Liberal Party office-holders and commercial lobbyists led the Prime Minister to declare a veto on wearing these two hats. 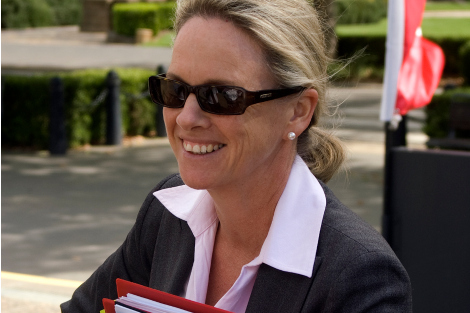 Several lobbyists promptly resigned from Liberal Party positions in New South Wales. The world of insiders is permeable. Individual career paths, Labor and Coalition, often involve moving between work as staffers, commercial lobbyists, corporate lobbyists and pressure group lobbyists. Several of my former students, on both sides of politics, have worked successfully in two or three of these sub-fields. The skills include analysis, briefing, report-writing, political awareness and relationship-building. The Furnival case directs attention not to those who have become lobbyists but to those who have once been lobbyists but are now ministerial staffers. This is another avenue of potential influence over policy and administration, as Furnival's apparent role in the removal of the Federal Government's healthy food ratings website demonstrates. It is not surprising that ministerial advisers sometimes have lobbying backgrounds, because ministers are looking for the sort of expertise and experience that lobbyists often have. It is part of their tools of trade when they have been working for an industry or a social movement. Labor supporters should not feel smug. There are plenty of examples on the Labor side, given the relationship between the trade union movement and the party. The social movements have also supplied many Labor political advisers. The move from environmental group lobbyist to environment minister's office isn't uncommon. On the Coalition side the examples are more likely to come from the corporate lobbying area given close business-Coalition relations. It is possible to argue forcefully that former lobbyists have just the background that we should be looking for in a ministerial adviser or even an MP and/or minister. Their long 'insider' experience means they know their stuff (both subject content and political processes) even if their life experience may look narrow and one-sided. On the other hand democrats argue that it all makes political influence more than usually lopsided. These political insiders bring into the inner sanctum of politics all their past connections, biases and relationships. Even if Furnival had divested himself of the shares in question his background raises questions about whether he could really ever be even-handed in the health portfolio as far as the food industry is concerned. At the very least there is a substantial trade-off between experience and objectivity. Politics is a small world and this controversy raises bigger issues. Many insiders now work in the half-light just outside Parliament and government, while former political operatives have made the reverse move into ministerial offices. Despite the existence of codes of conduct many ministers and their staff remain startlingly indifferent to real and perceived conflicts of interest. The real "sting" in Professor Warhurst's article is in its tail: "Despite the existence of codes of conduct many ministers and their staff remain startlingly indifferent to real and perceived conflicts of interest." Many people profess worry about the lack of "real" life experience in many who are elected to Parliaments; but this lack of any understanding of such a profoundly important ethical challenge is an extremely serious problem and as big a challenge as I can think of to the integrity of our democracy. Actually, it's not that hard. The Job Application Form just needs to include a question like: "are you now, or have you ever been, involved with a lobbying or Public Relations firm?" The absence of any such question says a lot about an administration: "the **** government - Corrupt by Design". The Federal Government plans to change the Racial Discrimination Act to give preference to free speech over protecting individuals and groups from vilification. It is not surprising that there is strong media support for the changes, as they will give investigative reporters and shock jocks alike the legislative freedom they need to do their job. But the Government must include robust legislation to penalise those who get their facts wrong.